When I heard that K-actress Kang Sora was going to cameo in the jTBC drama adaption of The Beauty Inside, I totally thought she was going to play one of the forms that female lead Seo Hyun Jin changes into. Turns out Kang Sora cameos as herself presenting a Best Actress award to fellow top actress character played by Seo Hyun Jin at a star-studded awards ceremony when then goes awry in the worst possible nightmare way for our poor afflicted female lead. 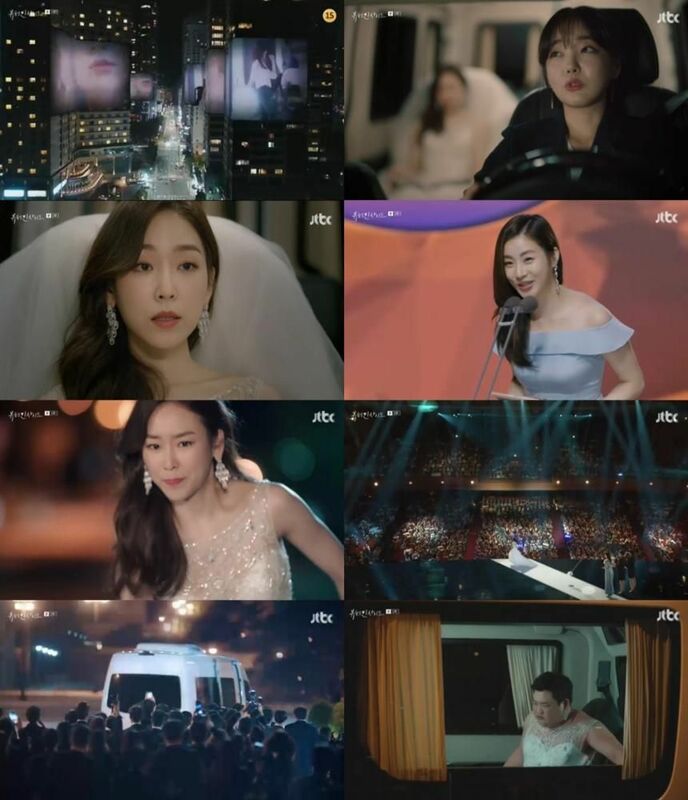 On her way to accept the award, Seo Hyun Jin senses a transformation is about to occur and is forced to turn tail and run with cameras, media, and her fellow actors and actresses watching. It’s like a nightmare when you’re giving a speech naked or crap your pants when you’re being proposed to but times a million. The scene is beautifully filmed like Cinderella leaving the ball at midnight complete with a lone shoe left behind on the outside steps. 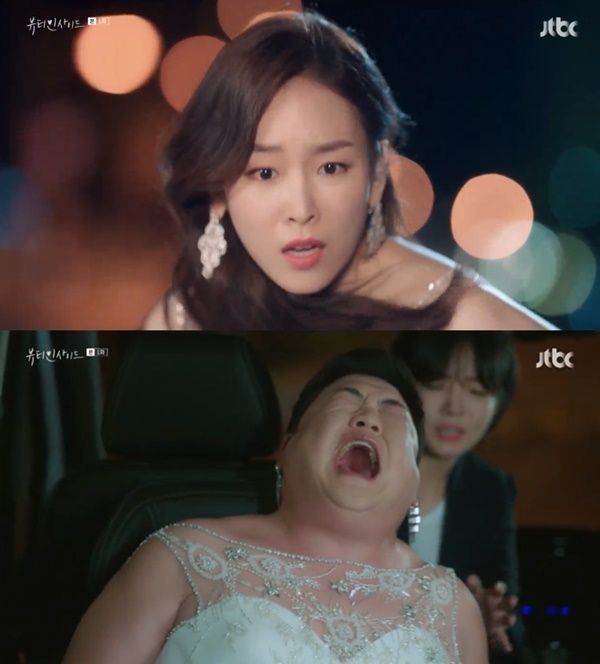 Her character then transforms into large-sized male comedian Kim Joon Hyun who screeches like a woman inside the safety of the star van about losing her limited edition heel while bursting out of her awards gown. It’s super hilarious and I love this drama already! I noticed we seem to have similar tastes in dramas so I always look forward to your mini- reviews of dramas. I’m excited to hear this is good so far, can’t wait to watch! This is fun! I love Seo Hyun Jin! I liked both the episodes so much I want more! Knetz said LMK acting in this is the same as his acting in Because This is My First Life.